A £1.25M pot of funding has been secured for businesses in the South East Midlands seeking to expand, invest and recruit. 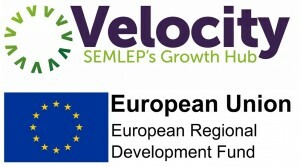 There are two types of grants (both part funded by ERDF) – Velocity Growth revenue and Maximum Velocity capital grants. Velocity Growth Hub, which offers support, mentoring and advice to locally-based small to medium sized (SME) businesses, has this week unveiled a new pot of revenue and capital grants. The funding is exclusively for businesses based in the South East Midlands Local Enterprise Partnership (SEMLEP) area – a geography which covers Aylesbury, Bedford, Central Bedfordshire, Cherwell, Luton, Milton Keynes and Northamptonshire. Velocity Growth revenue grants (£1,000-£10,000) will fund up to a maximum of 33% of the total price of the goods or services. This type of grant will support specialist consultancy, projects, goods and services related to increasing sales, improving productivity and profitability and improving business processes. Grants have previously been awarded to support market research, website design, re-branding, marketing collateral, customer relationship management software and recruitment for hard-to-fill posts. Amounts awarded will be based on a maximum of £5,000 for each job that is created by the project. Maximum Velocity capital grants (£5,000 to £50,000) will fund up to a maximum of 25% of the total price. Project ideas include investment in technology or processes that facilitate growth and create jobs, such as plant equipment, new machinery, and an extension to land or premises. Amounts awarded will be based on a grant of £5,000 for each job that is created by the project. Businesses can make a combined revenue and capital grant of up to £60,000, if necessary. The grants are being provided through a multi-year European Regional Development Fund project and the last date that grants will be awarded is 30th June 2018 unless funding has been fully committed prior to that date. Applicants must follow EU procurement regulations and Velocity Growth Hub will advise you on how to stay within the rules. Grant applications will be assessed within four weeks of being submitted and funding will be provided retrospectively against evidence of payments for approved items. To find out whether your business and your project is eligible for the funding and to get your application underway, please contact the Velocity Growth Hub on 0300 01234 35 or by email at enquiries@VelocityGrowthHub.com.